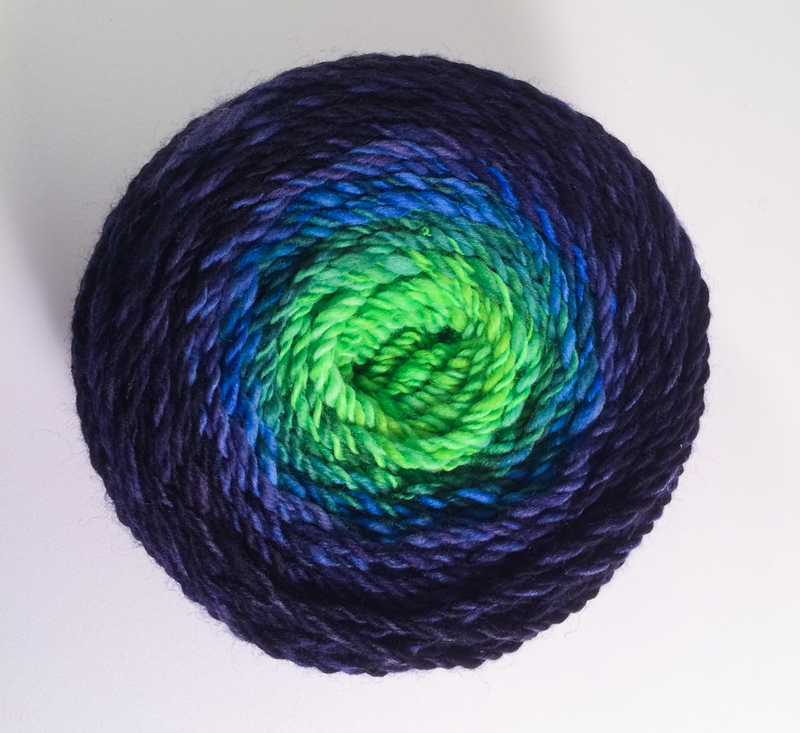 I did a gradient bulky test as prep for the November “A Spinner’s Study” Bulky challenge. It worked out in a way I liked, so here’s my notes if you’d like to try it too. This method involves plying from a center pull ball (because I hate yarn waste). 2. Before spinning, divide in half length wise. Spin the color progression on ½ of the wool. 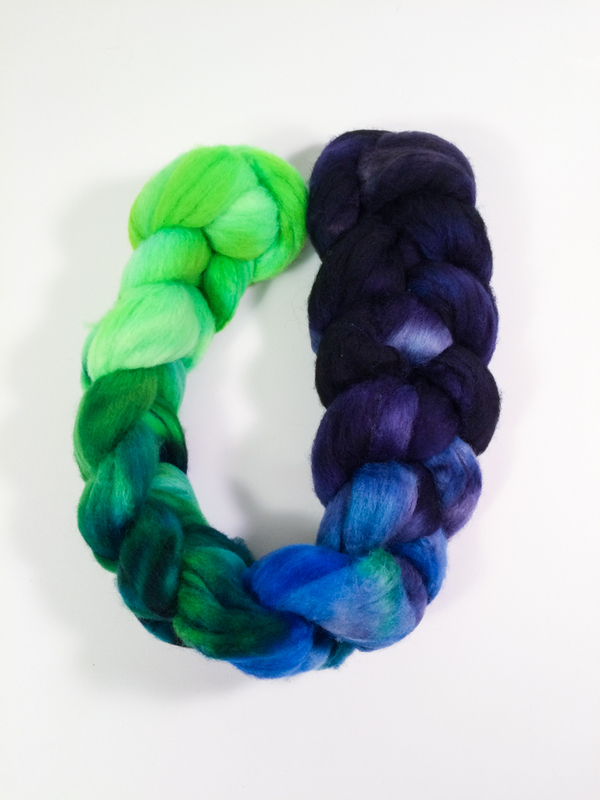 Then spin the color progression backwards on the other half of the wool. 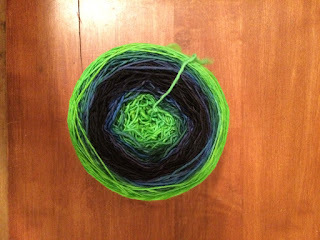 For example I spun – green, blue, black (first half), then kept going on same bobbin with the other half of the wool – black, blue, green. My bobbin was VERY full, but it all fit. 3. Wind singles into center pull ball. Keep tension on your yarn at all times when winding. Keep tension on your yarn at all times when plying – especially where you’re pulling from the ball. This helps reduce twisties and knots as you ply. Here’s the final skein in various forms. 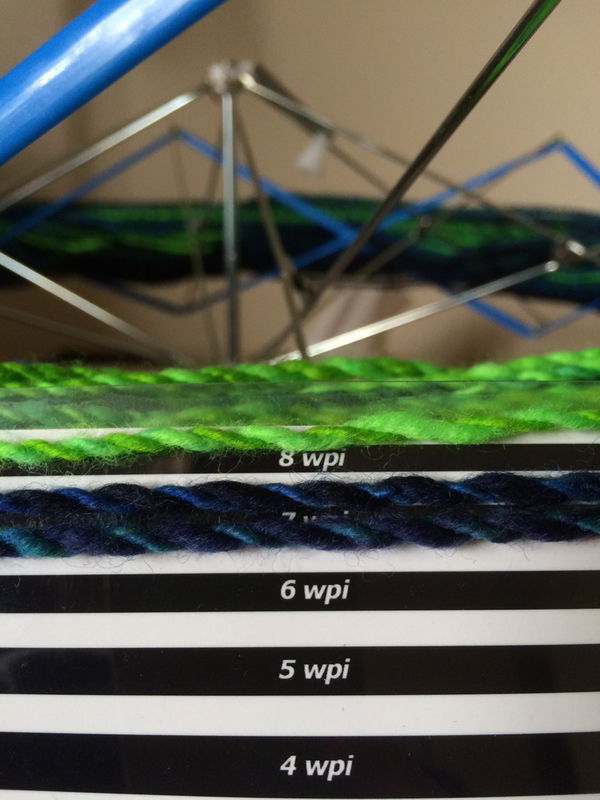 I ended up with about 6-8 wpi. 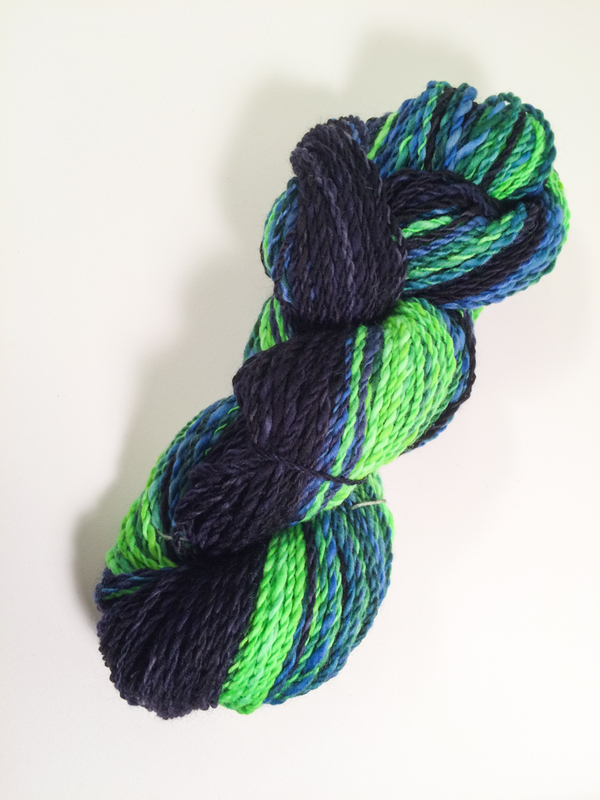 I want thicker yarn – so more practice for me!